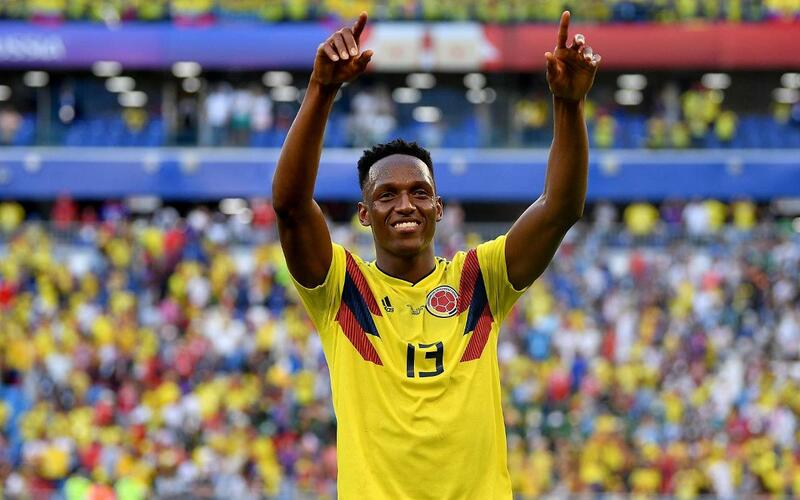 Colombia have crashed out of the World Cup on penalties to England, but Barça’s Yerry Mina is leaving Russia having made en enormous impact on the tournament. He missed the opener against Japan, but featured in all three of his country’s other games and despite being a centre back, scored in each one. In fact, only two defenders before him, both Germans (Paul Breitner in 1974 and Andreas Brehme in 1990) have scored that many goals in a single edition of the competition. Mina got the opener in Colombia’s 3-0 defeat of Poland to keep their World Cup hopes alive, and got the only goal of the game against Senegal to send his team into the last sixteen. Both goals were headed in from corners, and just when it looked like the end of the road for the cafeteros, he did it again on Tuesday night! Deep into injury time he nodded home yet another corner to take the game with England into extra time. This made him the first player since Miroslav Klose in 2002 to score three headers in the same World Cup – and also Colombia’s second highest World Cup goalscorer of all time, topped only by James Rodríguez with six. Sadly for Colombia, however, they have missed out on a second successive appearance in the quarter finals. There was no further score in the game and England ended up winning the shootout and a showdown with Sweden on Saturday.